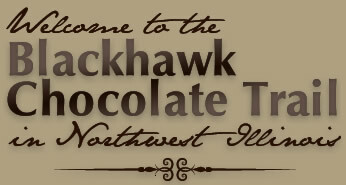 We invite you to take a journey on the sweet side and experience a chocolate escape in real time here in Northwest Illinois. From candy stores and gift shops to cafes and bakeries there are plenty of locations to choose from. Disconnect from technology and reconnect with friends and family while enjoying a wide variety of activities. Whether you prefer the great outdoors or relaxation and leisure we have something for everyone. Shop at our local boutiques, dine at our casual cafés and restaurants, visit one of our fantastic theatres for an unforgettable experience. We have one to three-day itineraries to choose from so you can experience it all at your leisure. Our region is conveniently located from the East, West, North or South. We are less than 90 minutes away from Chicagoland with access from I-80, I-88, US 20 and I-39. There is far too much to enjoy in one day! We have every type of amenity to suit your interests. You can enjoy the beauty of nature & comfort in a rustic cabin, a home away from home at one of our B&B’s or a 5-star hotel. All the details are laid out for you all you have to do is bring your appetite and your suitcase! From romantic getaways, to a girls weekend, guys adventures in the great outdoors, or family getaways, we have something for everyone. Start planning your sweet escape today!